Tour crafted by a local – experience another side of Normandy! Located at the heart of the Dieppe – Rouen – Fecamp triangle, the rural Pays de Caux is a patch of countryside well worth exploring. Here, on Upper Normandy’s Alabaster Coast, an abundance of history and beautiful landscapes await! Enjoy 30 kilometres of coastline, including the astonishing cliff of Etretat, registered as a National French Site. French painter Claude Monet painted this beautiful place, therefore making it famous across the world. During this tour, you’ll be surrounded by the beauty of nature. Did you know that Normandy is the biggest linen producer in Europe? The vast expanses of linen fields are absolutely beautiful. Another piece of coastline to discover is Cap Fagnet This is the highest point of the coastline and was a strategic military station during WW2. Furthermore, learn about the only large-scale Allied raid on Nazi-occupied France before D-Day. This occurred in Dieppe, where you’ll be staying, which was also a key port in the town’s golden era. 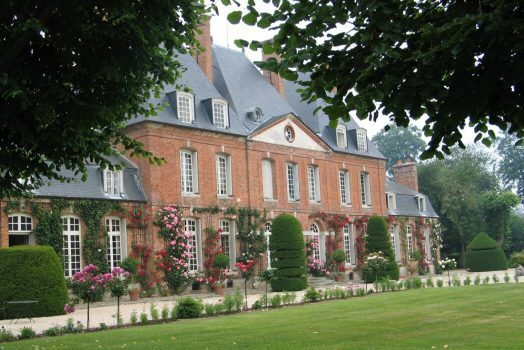 Immerse yourself in one of the most beautiful villages of upper Normandy, Veules les Roses, and also visit the region’s biggest rose garden at the Chateau Mesnil Geoffroy. 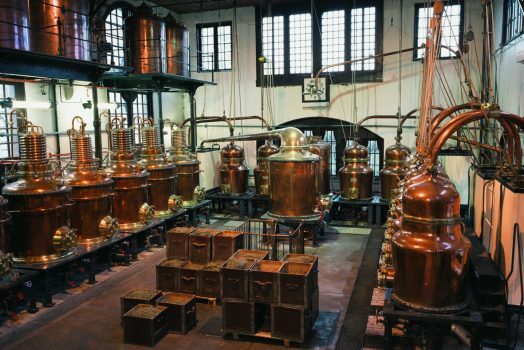 Discover the secrets of the Benedictine Palace of Fecamps with a tour and taste the centuries old liqueur. This tour is packed with exciting inclusions. 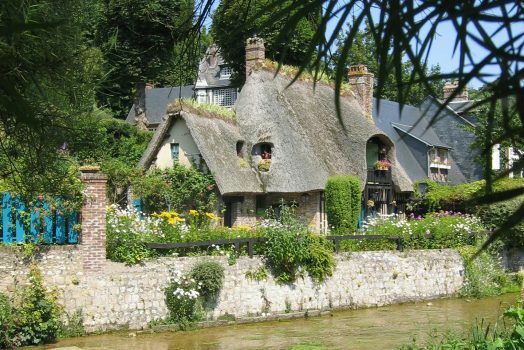 View a different facet of Normandy and discover the favourite sights of locals. Start your journey to Normandy and depart from your local area in direction of Dover where you will take the ferry to Calais. Arrive at your hotel in Dieppe and enjoy the rest of the afternoon, evening and dinner at leisure. This morning, enjoy a little train tour around the city and to the top of the cliffs. There, the quaint Notre Dame de la Garde Chapel overlooks the Atlantic Ocean. 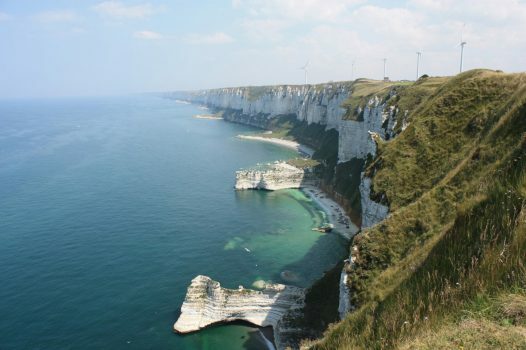 Take in breathtaking views of the white cliffs and natural rock arches of Etretat. These are some of Upper Normandy’s best-known sights and have been painted by famous Impressionist artists, including Claude Monet. Enjoy some free time to explore this town, where famous French author Guy de Maupassant spent much of his childhood, before heading to Fecamps. At Fecamp Abbey in 1510, the Benedictine Monk and alchemist Dom Bernardo Vincelli is said to have created a secret elixir, whose recipe was lost during the French Revolution. In 1863 Alexandre le Grand rediscovered the elixir’s composition and named it Benedictine. He built the Benedictine Palace in honour of the liqueur which is composed of 27 plants and spices. Enjoy a guided tour of the Palace including the art collection and the distillery. Finish the tour with a Benedictine liqueur tasting! The highest point of the coast at 105m high, the Cap Fagnet was a strategic military site during the Second World War. Built during this period on the orders of the German Army, blockhouses were erected as part of the Atlantic Wall from 1942. A guided tour provides a better understanding of the role of this important station in the war but also the functioning of the economic collaboration and the limits of this military strategy. Sheltered by two high cliffs, the city stretches on both sides of the River Arques. A seaside resort frequented by Parisians and the English, Dieppe preserves few architectural memories of its golden age. In the 14th and 15th Centuries, the port gave birth to many adventurers, privateers, explorers and shipowners who crisscrossed the various seas of the Globe. A guided tour will offer great insight into Dieppe and its many secrets, before you enjoy this wonderful town at leisure. Nestling in a valley, facing out to the sea, Veules-les-Roses is enchantingly idyllic. With its delightful seashore, rich heritage, this little village, crossed by France’s smallest river, is sure to entice you. Walking along the River Veules, you’ll find the traces of the village’s history engraved in stone and present in its varied architecture. 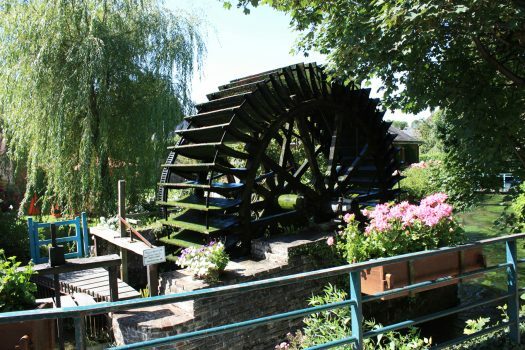 Wander past the watermills, seaside villas, quaint cottages and picturesque church. After a guided tour, you will have free time to explore and enjoy lunch at leisure. Maybe you can try the village specialty: sweet Camembert from the bakery. Continue to the Chateau Mesnil Geoffroy, built at the beginning of the 17th century on the site of a 13th century castle. The current building is typical of Louis XIII’s style with its high slate roofs and its very large fireplaces. 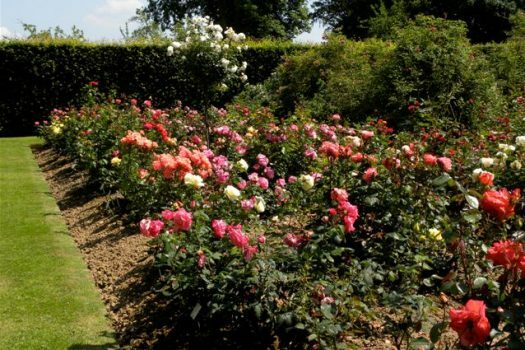 Considered among the most beautiful of French gardens, the rose garden has 2700 rose bushes dedicated to rose history and perfume, from the first species to the newest ones. It is the most important rose collection in Normandy. The time has come to depart from Normandy. Head to Calais for your ferry crossing back to Dover. From there, continue to your local area. Why not stay another day to discover one of Normandy’s most beautiful towns? Enjoy a full day in Rouen, perhaps have a guided tour in the morning, have lunch in one of the numerous local restaurants and explore on your own in the afternoon. Unmissable places to visit and enjoy include France’s tallest Cathedral, cobbled and narrow streets, the Gros Horloge and the Joan of Arc Memorial! Alternatively, head north along the coast of the mouth of the River Somme. Two charming towns lie either side of the river. 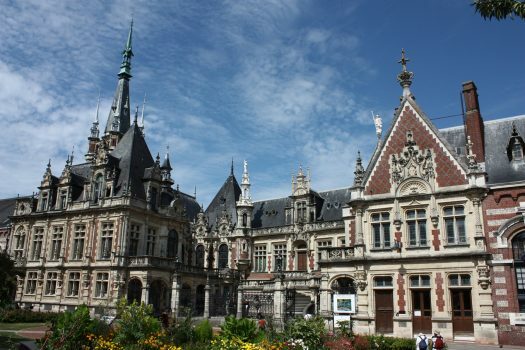 From St Valery-sur-Somme, perhaps take a steam train along the bay, or walk along the pierside in Le Crotoy, with one of the few south facing beaches in northern France and where Jules Verne lived – his house is now a fascinating museum. Just a 3 minute walk from the beach, this hotel sits below the walls of the 15th-century Chateau de Dieppe. The Mercure Dieppe La Présidence features a cocktail bar. The restaurant serves regional cuisine. The air-conditioned rooms are equipped with satellite TV, safety deposit box, kettle, radio and hairdryer. Coach – Cross the Channel with short-sea Dover-Calais/Dunkirk ferry crossings or Eurotunnel crossings from Folkestone-Calais. We can also arrange day and night crossings are available with Brittany Ferries from Portsmouth to Caen, Cherbourg, St Malo and Le Havre.